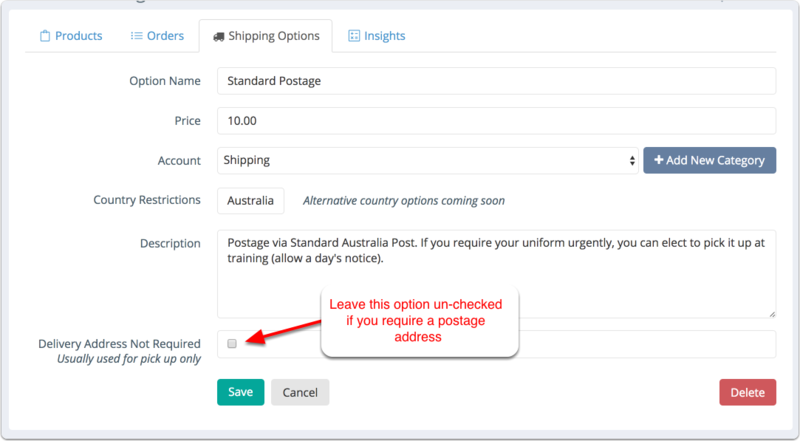 You can create as many Shipping options as your Organisation requires. Details of Shipping options you've created will be available for buyers to select as they move through the purchase. 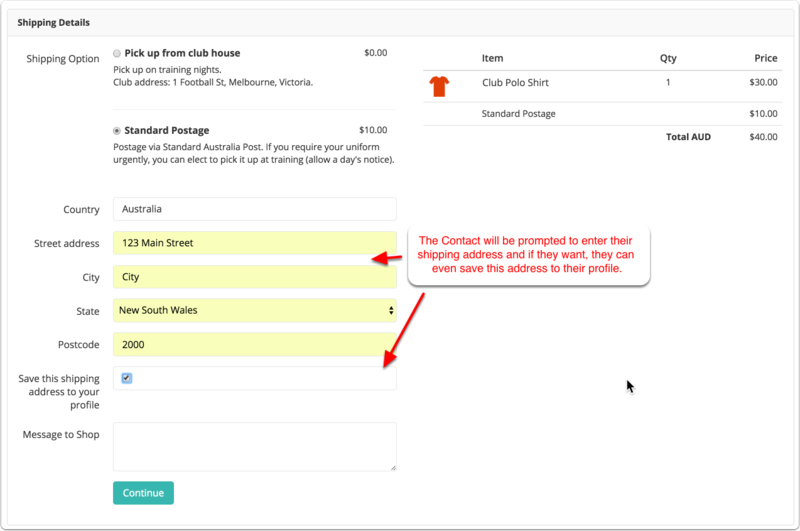 Each Shipping Option can have a description to help the Contact decide which option is best for them. Because not every purchase has to be posted/delivered, you can also make a "Pick up" delivery option which doesn't require the buyer to enter their address. Or, if enabled, you can create a Shipping Method that requires an address. To require a Shipping Address, leave the "Delivery Address Not Required" option unchecked. If a delivery address is required, the Contact will be prompted to enter their shipping address and if they want, they can even save this address to their profile.